Yesterday I did a design for another 10×20 quilt based on Plitvice National park in Croatia. I cut some strips so that I make a simple striped quilt with some added stitching. it is good to experiment and hopefully it will look good. 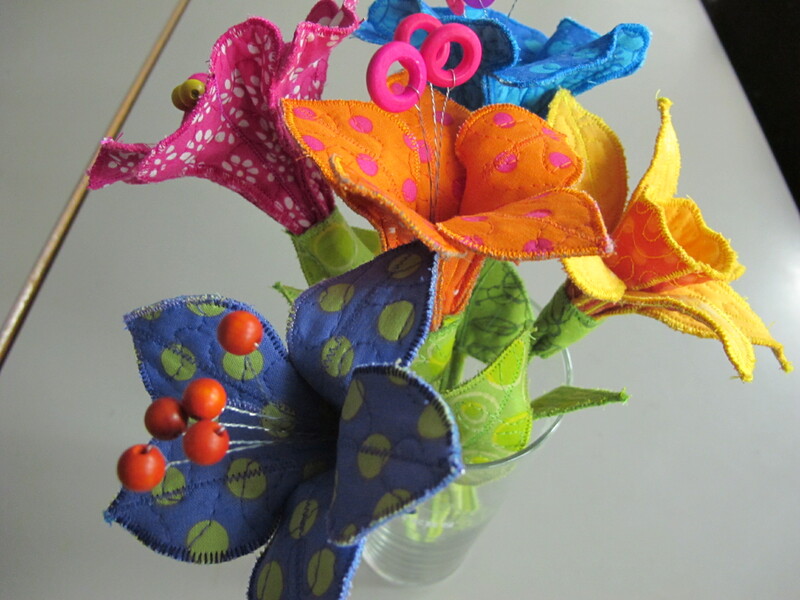 Here are some photos of the new flowers i have made. I am hoping that I will sell out of flowers before next year’s Festival of Quilts so am working at producing another reprint. Fiona and I have learnt so much doing the last lot, I am hoping the next set will be quicker and easier. Fiona has found a better place to buy the newspaper bags and we will be able to go there in February when we visit. This one needed to be blue. This summer we visited Ljubljana where there are lots of padlocks on one of the bridges. This is an ancient custom, which is believed to have originated in China, where lovers lock a padlock on a chain or gate and then throw away the key, symbolically locking their love forever. 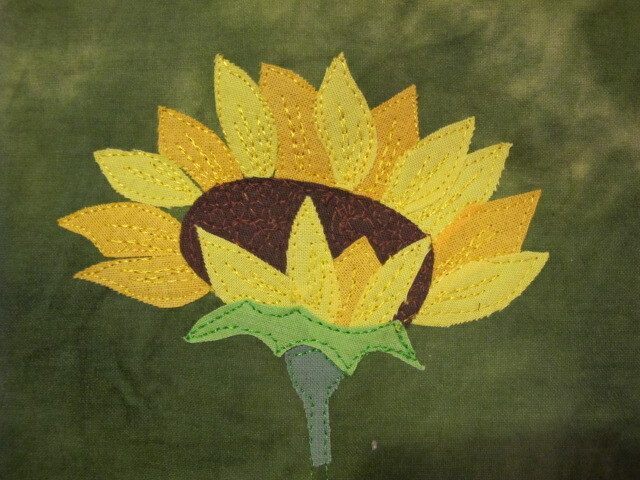 It is applique using a variety of fabrics. I changed my profile picture on facebook tonight so that you can see the top I wore to go to a party on Saturday. It was bought in Pushkar in India in February. No body said anything about it – perhaps they had no idea that it was a piece of original textiles from India. I love it! It is a tailor made textile trip for us visiting Delhi, Agra, Jaipur, Jodhpur and Udaipur, with workshops in several of these places. It has been orgainised with Creative Arts Safaris based in Pushkar. 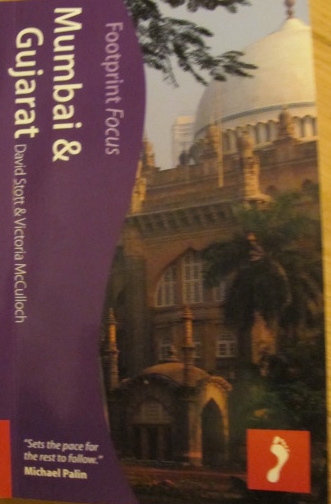 We have an add on trip to Ahmedabad and the Kutch. 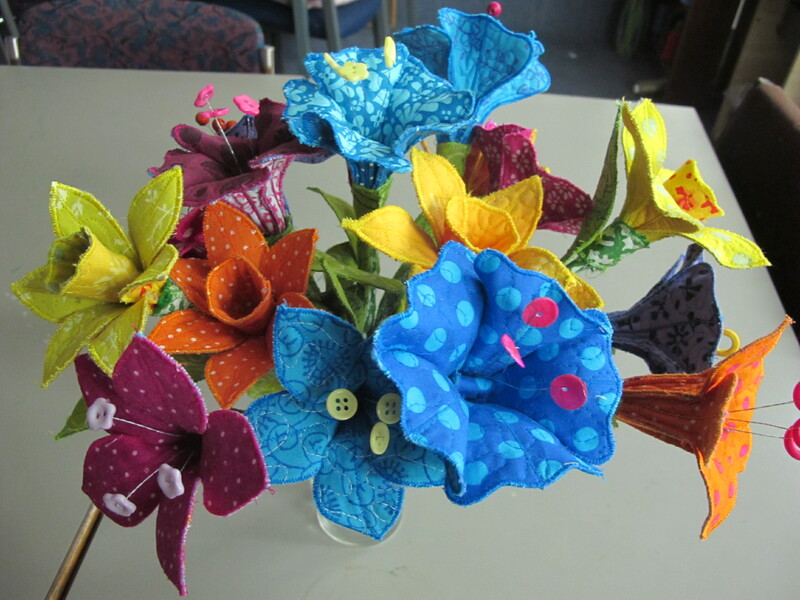 These are the new designs for the next fabric flowers kits. 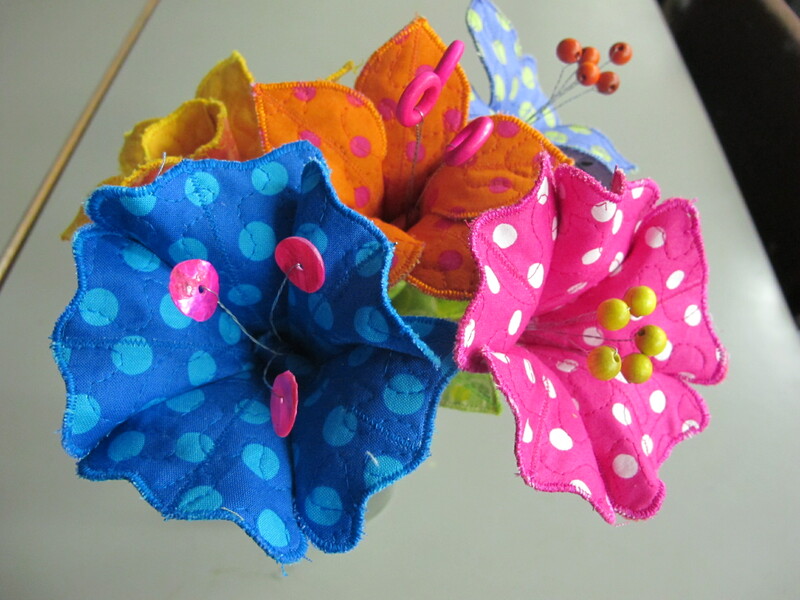 Colours arnt what they will be – they will be more spring brights so pink, yellow , orange, turquoise etc but I am pleased with the flower shapes . Thanks Ann for helping me with them today! I’ve done so much teaching recently that I have had little time to get on with my own work, or at least do a bit of forward planning. 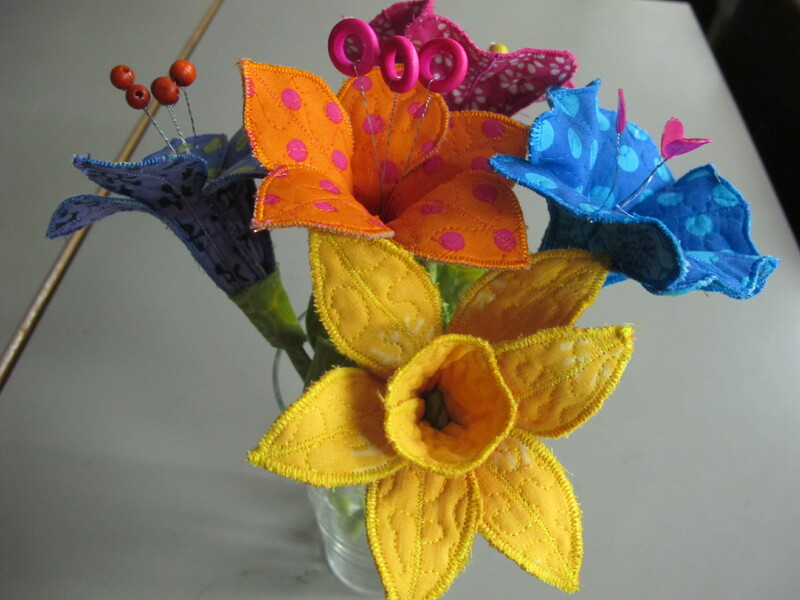 So with the forms in front of me to decide what i want to teach at Festival of quilts and another couple of events I thought it best to try to come up with some new workshops – some 1 hour long, others 3 hours long and some 1 day. 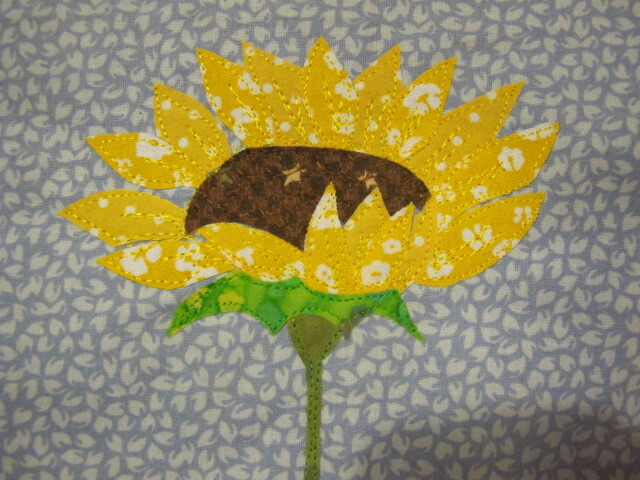 I played with the idea of teaching my applique technique using baking parchment but decided these sunflowers were too complicated to complete in 1 hour and not spectacular enough for 3 hours. I have worked on producing some more Indian ladies and I think they might make a good 3 hour workshop as they include a few different techniques. 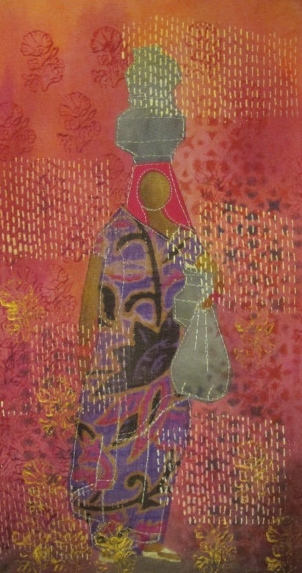 I have decided to title my Festival of Quilts Workshops something like Using stencils creatively. I love all the Crafters Workshop and Imagination Crafts stencils that are available at the moment and have a large collection. Imagination Crafts have knidly agreed to suppy me with some more stencils for use at my workshop, so now I just need to produce some more samples. Guess where I am going in February? I still dont seem to be able to get my photos in the right order!